Kim Hollis: Hotel Transylvania 2 set the opening weekend record for September with $48.5 million. What do you think of this result? 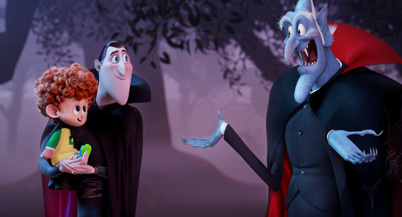 Edwin Davies: This is unexpected, both because sequels have struggled a bit this year to match their predecessors and because the first Hotel Transylvania didn't exactly set the world alight. It did okay and seemed warmly received by audiences, but those are not generally the building blocks of lasting success. The release date and the marketing are probably most responsible for this result, since it's been three months since Minions came out and families have been starved for options in the interim. Meanwhile the ads were well-placed to make sure that kids knew the film was coming out, and Sony invested heavily in ads aimed at Hispanic audiences, which seemed to pay dividends since they made up a sizable chunk of the audience. It looks like it will finish in the same region as its predecessor ($148.3 million), which would be a great result considering the film cost $5 million less than the first one did. If it builds overseas, then a third film can't be far behind. Ryan Kyle: This is a great result for Sandler and Sony, who have been both searching for box office solace recently. While the lack of any family-friendly options for months surely contributed to the pop, Sony did a great job cultivating the Hotel Transylvania brand, which I had my suspicions of existing (until this weekend). I think a great comparison is Cloudy With A Chance of Meatballs 2, another sequel from the same studio, which opened somewhat higher than the original and ended its run within spitting distance of its predecessor. I don't see what prevents Hotel Transylvania 2 from having this same destiny, and I'm sure a third is already in development.